Although none of us want to believe that we harbor racist views, our perspectives are inevitably shaped by a society and culture borne of a history of racial oppression. Unconscious biases that emerge within this social and historical context inform the way we perceive and interact as a community and sangha. Together, we will examine how social and economic power have been systematically sequestered based on the construct of race, and how racial privilege has been subsequently passed down and persists today. While doing this work, we will support each other to process and reflect on our personal experiences, and to connect with ourselves more deeply around these issues. For sangha members who identify as white or racially privileged, we commit to not asking BIPOC (Black, Indigenous, and/or People of Color) or other marginalized communities to teach us or take care of us through the challenges that may emerge throughout this process. 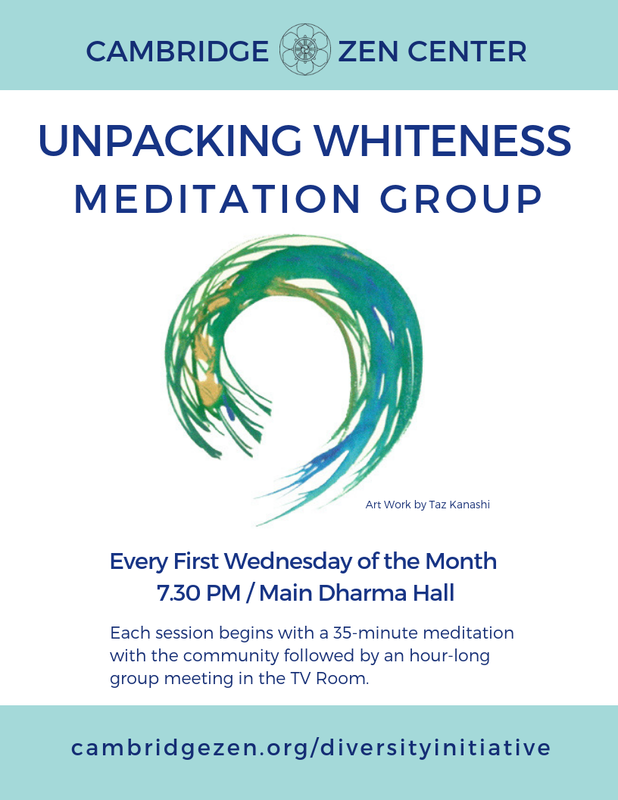 Please join us on the first Wednesday of the month at 7:30 PM as we sit together with the community in the Main Dharma Hall until 8.05 PM and then move into the T.V. Room for a conversation around privilege. All are welcome to attend.